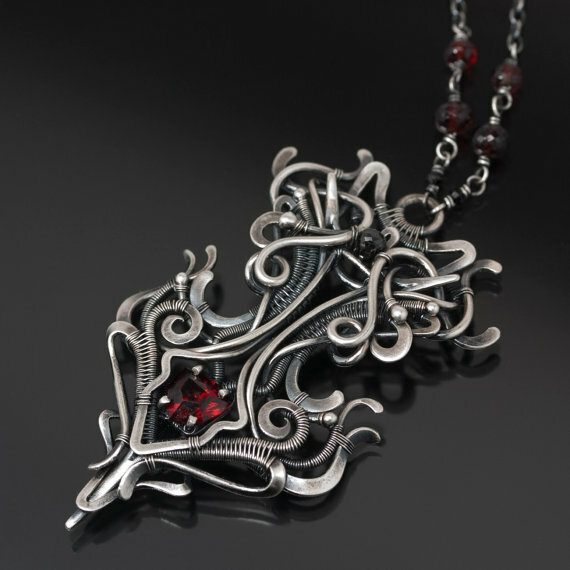 Some artisans display their passion for jewelry making remarkably well. Sarah Thompson of Sarahndippity is a wonderful example. 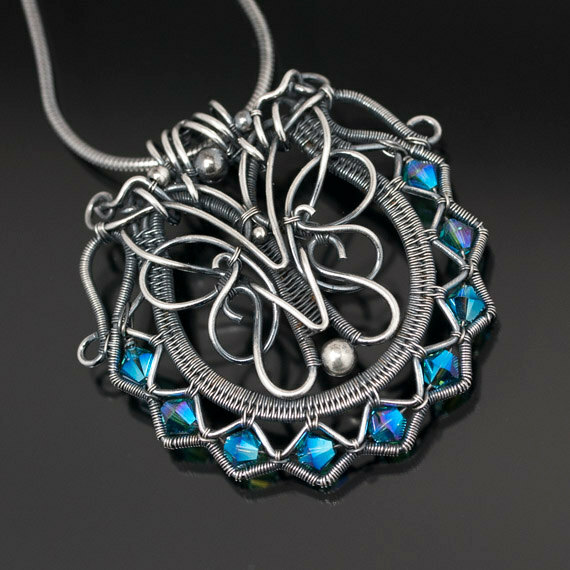 Her wire woven jewelry is drop dead gorgeous. 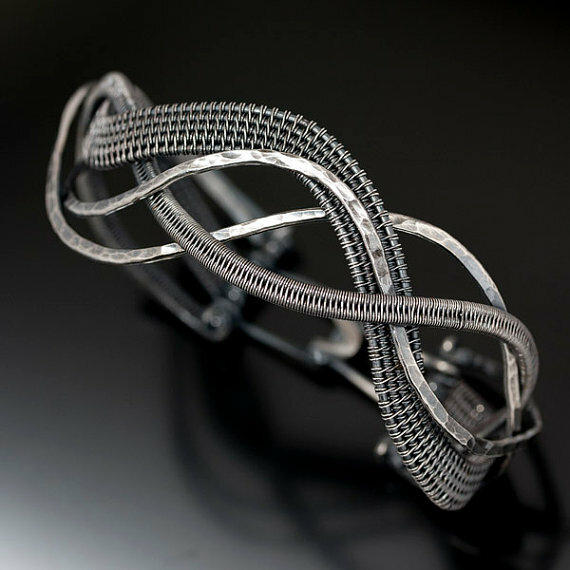 Her ability to not only weave the wire but layer it in a flowing sculptural manner is so inspiring. 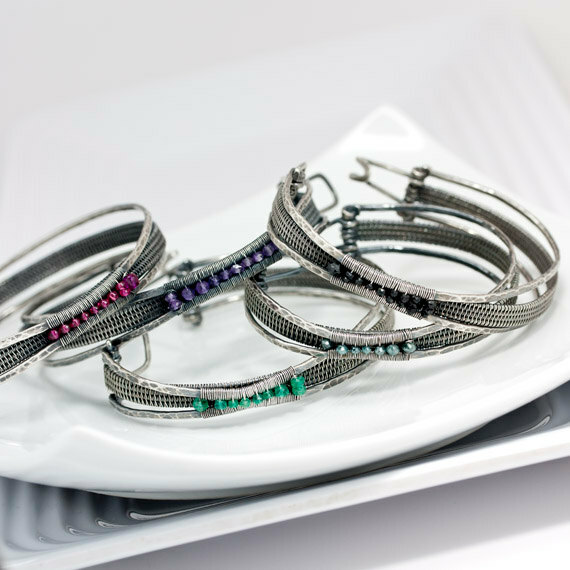 She uses fine, sterling and argentium silver, gemstones and Swarovski crystals for her meticulous wire work. Sarah also uses some metal working techniques like hammering and balling with a torch. 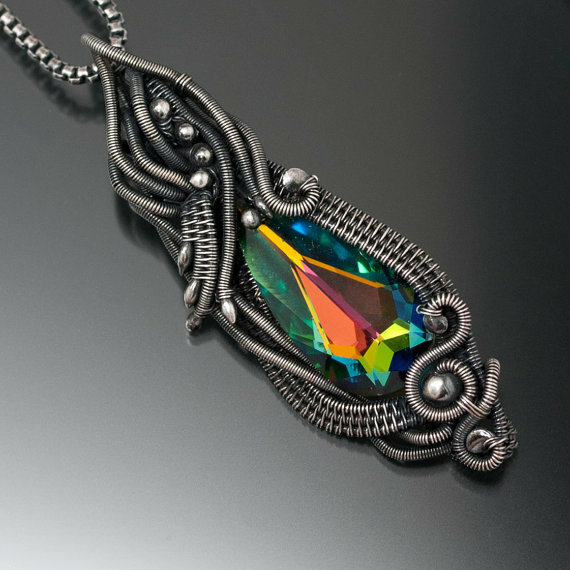 Sarah says, "I am often asked what my style is, or what style am I trying to create. I really can't tell you. For me it just is what it is. This is what I do, and how I express myself. This creativity is a natural extension of who I am and how I see the world." Everything about her work is outstanding...including her photography. Doubly inspiring! 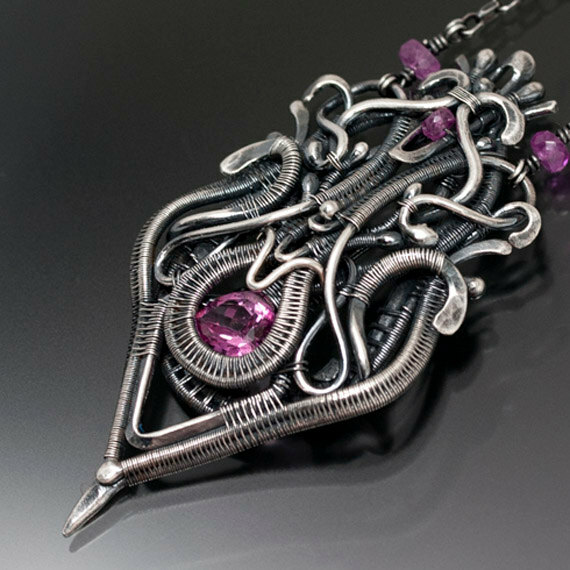 What beautiful, incredible wirework. Every detail is perfectly executed and artistic. Sarah Thompson is a true artist. I am inspired. Sarah's wirework is phenomenal - thank you for sharing her work, Pearl. Sarah's artistry is so gorgeous!!! Thank you for featuring her on your blog. Sarah is indeed a gifted artist. Her work is amazing and incredibly intricate. 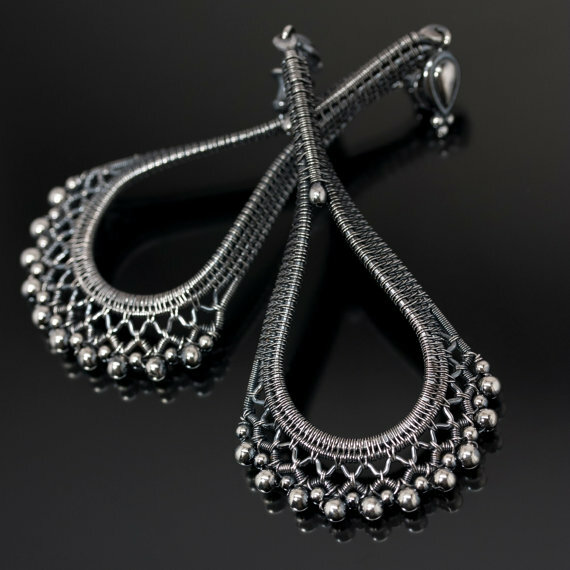 I'm in love with those fabulous earrings, they look as though they're made from silver lace. Gorgeous, absolutely gorgeous.